The UCLA Labor Center is the only university-affiliated center of its kind. Only at the Labor Center will you find car wash workers discussing work conditions, students supporting health access for immigrants, and black worker leaders mobilizing for good jobs—all under one roof. The Labor Center is truly a place that brings the university to the public and inspires a new generation of activists and leaders. Get involved! Every summer, the UCLA Labor Center places students and recent graduates into internships with unions and social justice organizations across the country. Read about internship programs. 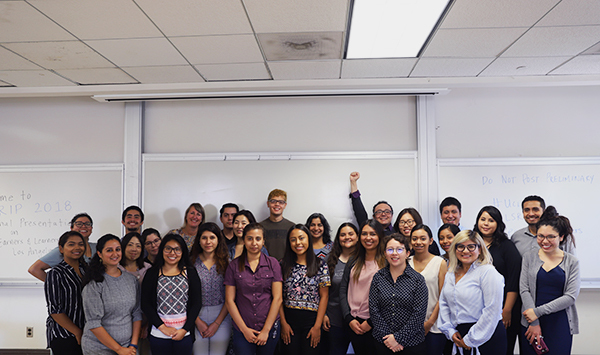 For UCLA students, the UCLA Labor and Workplace Studies minor offers exciting classes each semester that delve into labor and workplace issues. Take a Labor Studies class or join the Labor Studies minor. Every year a limited number of work study positions open up for UCLA students. Check the UCLA work study positions listings for current openings. Students from all universities are welcome to apply to volunteer or intern at UCLA Labor Center projects for course credit. Contact staff members from individual projects for more information. Sign up to receive email updates from the UCLA Labor Center. This list provides the most up-to-date information about events at the UCLA Labor Center. Like the UCLA Labor Center on Facebook. 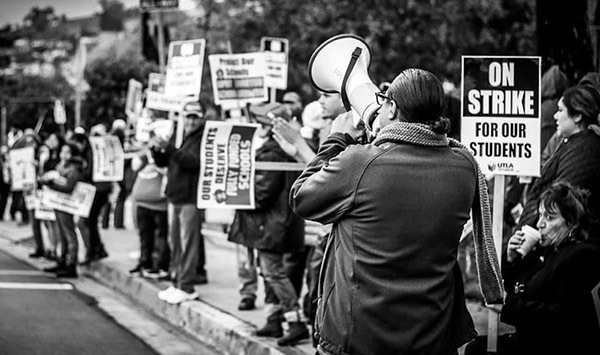 Follow the UCLA Labor center on Twitter or Instagram. The Community Scholars Program is a joint initiative of UCLA’s Department of Urban Planning and the UCLA Labor Center that recognizes the important role that community and labor leaders play in shaping community development policy. Every year the class convenes graduate-level students with community, labor, and city leaders to address a current issue or policy theme in Los Angeles. The class takes place winter and spring quarters, and the application process occurs in the fall. All UCLA projects are committed to building deep partnerships and collaborations with community organizations and unions. Reach out to staff members from individual projects to discuss the possibilities. Help support the next 50 years of worker justice. Attend the annual banquet or donate.